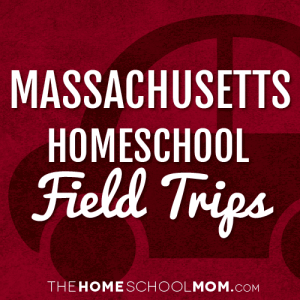 Our listing of Massachusetts field trip destinations is ordered alphabetically by city. If you would like to submit a Massachusetts field trip destination, you may do so using the red button above. Use the secondary navigation menu above to quickly make your way to pages for Massachusetts state organizations, local homeschool groups, classes, co-ops, and more. Ames Nowell is a year-round day use area with recreational activity centered around Cleveland Pond which is popular with boaters and fisherman. Development includes a picnic area, ball field and several miles of trails along the pond edge and the surrounding woods. The Discovery Museums, located in Acton, Massachusetts, just west of Boston, inspire enduring curiosity and love of learning through interactive discovery, hands-on inquiry and scientific investigations. Younger children learn while they play at the Children's Discovery Museum. Older children explore scientific concepts and hands-on creativity at the Science Discovery Museum. The Museums have extensive school programs which include museum field trips, group visits, and classroom outreach. A 120-year old Victorian house with rooms, corridors, and closets creatively transformed into ten hands-on exhibit areas especially for toddlers and pre-school children and their families. The Acushnet Historical Society now operates the Long Plain Museum in the building during the summer months. The Museum includes a "Whaling Wall", a Blacksmith Shop Diorama, an 1875 classroom an exhibit of 19th C. apparel and a 4-room, fully furnished 19th C. home. Robinson State Park serves as a major day use area for the Springfield region. Features: Accessible Restrooms, Accessible Hiking, Trails, Bicycling Paths, Canoeing, Fishing Group Day Use, Mountain Biking, Picnicking, Scenic Viewing Area, Skiing (Cross-Country), Swimming and Walking Trails. Features: Accessible Restrooms, Hiking, Horseback Riding Trails, Hunting (Restrictions), Picnicking, Scenic Viewing Area, Skiing (Cross-Country), Visitor's Center and Walking Trails. The Amherst History Museum opened in 1916 and is governed by the Amherst Historical Society, which was founded in 1899. Housed in the 1750-era Strong House, the Amherst History Museum takes visitors on a journey from the town's colonial past, through its industrial age and into the computer-driven present. Welcome to the Mead Art Museum, which holds the art collection of Amherst College, among the most selective and most diverse liberal arts institutions in the United States, founded in 1821 and committed to the education of its 1,600 students. The Mead serves Amherst's educational mission by helping to make its 16,000-object collection relevant to teaching and research across the disciplines through special exhibitions, events, publications, and class visits. The Museum serves a wider public by bringing any curious visitor into contact with original works of art and with leading thinkers drawn from the Amherst campus and beyond, always free of charge and in a facility that is fully accessible. Intended by its founder Thomas Cochran "to cultivate and foster a love for the beautiful," the Addison Gallery of American Art is an academic museum that serves as a resource for the students of Phillips Academy and is recognized as a world-class center of American art. Our collection includes more than 16,000 works of art and we offer a variety of changing exhibitions that travel to venues around the globe. Features: Camping, Fishing, Hiking, Horseback Riding Trails, Hunting, Interpretive Program, Mountain Biking, Picnicking, Restrooms, Skiing (Cross-Country), Snowmobiling, Swimming and Walking Trails. Features; Accessible Restrooms, Fishing, Hiking, Historic Site, Horseback Riding Trails, Hunting (Restrictions), Mountain Biking, Off-Road Vehicles, Picnicking, Scenic Viewing Area, Skiing (Cross-Country) and Walking Trails. The Attleboro Arts Museum involves audiences of all ages and backgrounds in the visual arts through diverse educational programs and engaging arts experiences. We work to support the creative and artistic development of both promising and professional artists. The Museum is a privately supported, non-profit arts institution whose core commitment to Arts for Everyone guides the Museum's programs and operations. Capron Park Zoo strives to prove that big things do come in small packages. Situated in the heart of Attleboro and surrounded by beautiful grounds, Capron Park Zoo has been one of the area's premiere recreational facilities for more than 70 years. Combined with an award-winning playground and exciting educational programs, the Zoo is sure to delight the young and young at heart. Whether it's watching the Lions wrestle, coming face-to-face with a Snow Monkey, staring at a snake or relaxing in our Rainforest, there is something for everyone to enjoy. Otter River State Forest is a popular camping and day-use facility in a beautiful area of north central Massachusetts. Features: Universal Access, Camping, Fishing, Group Day Use, Hiking, Hunting (Restrictions), Interpretive Program, Mountain Biking, Pavilion (50 maximum), Picknicking, Restrooms, Showers, Skiing (Cross-Country), Swimming and Walking Trails. The Deacon Job Lane House is a memorial to the character of the American Colonists of Bedford, Massachusetts. Built around 1715 on land which was part of an original land grant from King Charles II in the seventeenth century, this salt box-style house was enlarged and the interior remodeled in the Federal style around 1827 and lived in continuously until the 1960's. The house was purchased by the Town of Bedford in the early 1970s, and was restored by members of various town groups: The Rotary Club, the Bedford Minuteman Company, the Woman's Club, the Bedford Historical Society, Friends of Job Lane House, Inc., the Brown Family of Bedford, and the Boy Scouts and Girl Scouts. The house was opened to the public in 1981 and is now opened to visitors on the second and fourth Sunday of each month, May through October. An 11-foot-high "glacial erratic" boulder known as Dighton Rock once rested on the shore of the Taunton River adjacent to this park. Covered with petroglyphs, carved designs of ancient and uncertain origin, the rock is now installed in a small museum. The museum (open by appointment) exhibits several explanations of the carvings, which range from Portuguese explorers to Native Americans. Features: Nonmotorized Boating, Canoeing, Fishing, Hiking, Historic Site, Mountain Biking, Picnicking, Restrooms, Skiing (Cross-Country) and Walking Trails. The Beverly Historical Society and Museum has been preserving and caring for Beverly's past since 1891. Tour one of our historic sites, learn about your family history, visit the Walker Transportation Collection or explore two floors of exhibits at the Cabot House Museum. On the night of April 18, 1775, silversmith Paul Revere left his small wooden home in Boston's North End and set out on a journey that would make him into a legend. Today that home is still standing at 19 North Square and has become a national historic landmark. It is downtown Boston's oldest building and one of the few remaining from an early era in the history of colonial America. The courtyard features a 900 pound bell, a small mortar and a bolt from the USS Constitution, all made by Paul Revere & Sons. The Pierce/Hichborn House, built about 1711, is one of the earliest remaining brick structures in Boston. The house is an excellent example of early Georgian architecture. Its elegant symmetrical style was a radical change from the wood-framed Tudor dwellings, such as the Revere House, common in 17th-century Boston. The home was built for Moses Pierce, a glazier, and was later owned by Nathaniel Hichborn, a boatbuilder and a cousin of Paul Revere. Here is a place where you can walk a Civil War-era fort, visit historic lighthouses, explore tide pools, hike lush trails, camp under the stars, or relax while fishing, picnicking or swimming--all within reach of downtown Boston. Youth programs, visitor services, research, wildlife management, and more are coordinated on the park's 34 islands and peninsulas by the Boston Harbor Islands Partnership. "Each year in mid-April, thousands of people flock to historic Lexington and Concord and Minute Man National Historical Park to celebrate Patriot's Day. Patriot's Day is a special Massachusetts State holiday commemorating the opening battle of the American Revolutionary War, April 19, 1775." This is the third oldest chartered military organization in the World, and the oldest in the Western Hemisphere! The rich tradition of the Ancient and Honorable Artillery Company can be seen in its Museum Headquartered in Faneuil Hall , Boston, the Company boasts one of the finest military museums in the United States. The Arnold Arboretum of Harvard University is the oldest public arboretum in North America and one of the world's leading centers for the study of plants. Administered by the Office of the Provost of Harvard University and a link in Boston's Emerald Necklace of parks, the Arnold Arboretum is a unique blend of respected research institution and beloved public landscape. We provide and support world-class research, horticulture, and education programs that foster the understanding, appreciation, and preservation of trees. Founded in 1913 by a group of teachers in Boston's Jamaica Plain neighborhood, Boston Children's Museum began a "hands-on" tradition long before that phrase became commonplace. Today, after 90 years, Boston Children's Museum exists to help children understand and enjoy the world in which they live. As an early museum experience for children, our environment is informal, but our purpose is serious. We want children to grow up feeling secure and self-confident with respect for others and the natural world. We encourage imagination, curiosity, questioning, and realism. We provide opportunities for new insights, involvement with the world and understanding of human differences with world-class exhibits and programs. Known today as the Old State House, this building was the center of Boston's civic life in the 18th century and the scene of some of the most dramatic chapters in the lead-up to the American Revolution. Within these walls, Samuel Adams, James Otis, John Hancock, and John Adams debated the future of the British colonies. Just outside the building, five men were among the first casualties of the battle for independence, in what would later be known as the Boston Massacre. The Declaration of Independence was proclaimed from the balcony to the citizens of Boston in 1776. History happened here. As you explore the Old State House Museum you will discover wonderful stories about the people and events that shaped the history of the city, colony, state, and nation. Two floors of exhibitions tell the story of the role the building--and Boston--played in the American Revolution. Other exhibitions highlight the collections of The Bostonian Society. See tea from the Boston Tea Party and John Hancock's coat; listen to testimony from the Boston Massacre trial; view paintings of Boston harbor and other Boston treasures. Hands-on History galleries on the second floor provide interactive exhibitions for families with children. Dedicated to serving the public of New England as well as the University community the Boston University Art Gallery (BUAG) is a non-profit art gallery geared toward an interdisciplinary interpretation of art and culture. BUAG presents four to five exhibitions annually. Exhibitions are curated internally, often incorporating the rich talent and resources found on campus and in the Boston area, or are borrowed from other institutions. Through its exhibitions and educational programs, BUAG seeks to present the cultural and historical context of art and to acknowledge the artistic contributions of under-recognized sectors of the population. Each spring our season closes by highlighting the achievements of School of Visual Art students with the MFA Graphic Design and Senior Thesis exhibitions. "Don't fire until you see the whites of their eyes!" This legendary order has come to symbolize the conviction and determination of the ill-equipped American colonists facing powerful British forces during the famous battle fought on this site on June 17, 1775. The battle is popularly known as "The Battle of Bunker Hill" although most of the fighting actually took place on Breed's Hill, the site of the existing monument and exhibit lodge. Today, a 221-foot granite obelisk marks the site of the first major battle of the American Revolution. Built in 1859-60, the Gibson House stands as the historic house museum of the Back Bay. In 2001, the National Park Service declared the Gibson House a National Historic Landmark. It is unique as an unspoiled single-family residence that retains its kitchen, scullery, butler's pantry and water closets, as well as formal rooms and private family quarters, filled with the Gibsons' original furniture and personal possessions. Visitors enjoy a glimpse of the lives of a well-to-do Boston family and their domestic staff. The primary activities of the ICA are threefold: To present outstanding contemporary art in all media, including visual art exhibitions, music, film, video and performance, that is deserving of public attention and has not been presented in depth to Boston audiences. To provide innovative experiential learning opportunities for people of all ages through direct encounters with artists and art making. To design interpretative programs that provide context, develop appreciation, and add meaning to contemporary art and culture. Virtual field trip onlineThe John F. Kennedy Presidential Library and Museum is dedicated to the memory of our nation's thirty-fifth president and to all those who through the art of politics seek a new and better world. Located on a ten-acre park, overlooking the sea that he loved and the city that launched him to greatness, the Library stands as a vibrant tribute to the life and times of John F. Kennedy. Come tour our Museum which portrays the life, leadership, and legacy of President Kennedy, conveys his enthusiasm for politics and public service, and illustrates the nature of the office of the President. Massachusetts Historical Society is an independent research library that collects, preserves, makes accessible, and communicates manuscripts and other materials in order to promote the study of the history of Massachusetts and the nation-a mission it has pursued since 1791. Boston College's McMullen Museum of Art serves as a dynamic educational resource for all of New England as well as the national and the international community. The Museum displays its notable permanent collection and mounts exhibitions of scholarly importance from all periods and cultures of the history of art. The Museum is free and open to the public and free parking is available. The Museum of Fine Arts houses and preserves preeminent collections and aspires to serve a wide variety of people through direct encounters with works of art. The Museum aims for the highest standards of quality in all its endeavors. It serves as a resource for both those who are already familiar with art and those for whom art is a new experience. Through exhibitions, programs, research and publications, the Museum documents and interprets its own collections. It provides information and perspective on art through time and throughout the world. The mission of the Museum of Science, Boston is to stimulate interest in and further understanding of science and technology and their importance for individuals and for society. To accomplish this educational mission, the staff, volunteers, overseers, and trustees of the Museum are dedicated to attracting the broadest possible spectrum of participants and involving them in activities, exhibits, and programs which will:Encourage curiosity, questioning and exploration, Inform and educate, Enhance a sense of personal achievement in learning, Respect individual interests, backgrounds and abilities, and promote life-long learning and informed and active citizenship. All this is offered in the spirit that learning is exciting and fun at the Museum of Science. The Nichols House Museum offers a unique glimpse into late 19th and early 20th century domestic life on Boston's historic Beacon Hill. The four-story row house was built in 1804 during the early development of Beacon Hill. The original Federal design is attribute to Charles Bulfinch. The interiors are decorated with original furnishings of the Nichols' family. The museum offers an active schedule of lectures, events, and educational programs throughout the year. The enduring fame of the Old North began on the evening of April 18, 1775, when the church sexton, Robert Newman, climbed the steeple and held high two lanterns as a signal from Paul Revere that the British were marching to Lexington and Concord by sea and not by land. This fateful event ignited the American Revolution. Officially known as Christ Church in the City of Boston. It was built in 1723, and is the oldest standing church building in Boston. In 1775, on the eve of Revolution, the majority of the congregation were loyal to the British King and many held official positions in the royal government, including the Royal Governor of Massachusetts, making Robert Newman's loyalty to the Patriot cause even more extraordinary. The King gave the Old North its silver that was used at services and a bible. Since the 1773 mass protest meetings that led to the Boston Tea Party, Old South Meeting House has served as a gathering place for discussion and celebration and a haven for free speech. Today you can visit this beautiful National Historic Landmark and museum to experience events that shaped the United States or attend a program that helps keep the democratic ideals of freedom of speech and assembly alive. In this hands=on program, students will learn what it takes to get clean, safe water to their homes! They will create a map of the water cycle, try a method of gathering water from the 1800s, see the mammoth pumping engines at the 1887 Chestnut Hill High-Service Pumping Station and learn the basic principles of how they work. Then, they will try their hands at being water biologists, figuring out which tools will work best to clean unsafe water. 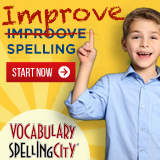 This program is aimed at students ages 6-10. Boston is called the "Cradle of Liberty". This park offers visitors a look throughout American History in the part that Boston has played in liberty for all Americans. The website offers historical information about the park for those who cannot visit in person. The Boston Tea Party Ships & Museum offers a fully immersive experience that combines live performance and state-of-the-art technology to take you through the historical events of December 16th, 1773. Join Samuel Adams and the Sons of Liberty in a town meeting before storming on board one of our replica tea ships to toss the King's tea into the sea, then travel through the 16 months after the Boston Tea Party to see how your actions impacted the course of American history. All ages welcome; Group Rates available for groups of 15 or more, and Virtual Tours available for those out-of-state. The latest addition to the Historic Downtown Boston,...located on City Hall Plaza, across from Faneuil Hall and the Old State House. The Mission is to inspire, educate and entertain students as they come face-to-face with those who have shaped US and Global history. The visit is highlighted by an acclaimed Hall of Presidents which includes all 44 U.S. Presidents and ends in the Oval Office. Students will see world leaders, pop and sports icons. 'Selfies' are encouraged in the museum which includes over 100 figures across 12 galleries on 2 floors. Educational activities can be added. Discover Boston on a history and photography walking tour with PhotoWalks! Capture amazing pictures of the cityscape, iconic landmarks and must-see attractions. Learn how to see creatively using your camera or smartphone, whether you're a newbie, amateur or advanced photographer. All ages and skill levels are welcome. The Museum of African American History is New England's largest museum dedicated to preserving, conserving and interpreting the contributions of African Americans. In Boston and Nantucket, the Museum has preserved four historic sites and two Black Heritage Trails® that tell the story of organized black communities from the Colonial Period through the 19th century. Aptucxet Trading Post may have the earliest remains of a Pilgrim building. The known facts present a fascinating story, not only of an antique building but also of Bourne's participation in 17th-century events. The structure existing today is a replica erected on the original foundation which was archaeologically excavated in the 1920's, and is surrounded by 12 acres of recreational land. The Worcester County Horticultural Society was incorporated in 1842 as a nonprofit "Educational organization for the purpose of advancing the science and encouraging and improving the practice of horticulture." The Worcester County Horticultural Society (WCHS), the third oldest horticultural society in the U.S.A., is the governing nonprofit organization that owns and operates Tower Hill Botanic Garden. Features "kettle ponds," formed as glaciers retreated from the Cape over 10,000 years ago. Completely dependent on groundwater and precipitation, the water level in the ponds fluctuates from season to season and year to year. Accessible Beaches, Accessible Camping, Accessible Fishing, Accessible Picnicking, Accessible Restrooms, Bike Paths, Nonmotorized Boating, Boat Ramp, Yurt Camping, Canoeing, Group Day Use, Hiking, Historic Site, Horseback Riding Trails, Interpretive Program, Mountain Biking, Showers, Skiing (Cross-Country), Swimming, Trailer / R.V. Dumping and Walking Trails. The Cape Cod Museum of Natural History in Brewster, Massachusetts, on Cape Cod, was founded in 1954. Our mission is to encourage and advance understanding of our natural environment through discovery and learning. There are two floors of exhibits about the flora and fauna of Cape Cod, including exhibits on whales, indigenous birds, and coastal change, and several aquaria holding different species of crustaceans, mollusks, fish, frogs, turtles and snakes. Several displays are interactive and geared to children. Special, temporary exhibits enhance the permanent collection. Opened in May of 1992, the Brockton Fire Museum was constructed for the purpose of preserving the proud history of fire fighting in the Brockton area. The artfully designed building, with wide pumpkin pine floors and subdued lighting, effectively conveys the atmosphere of a classic Brockton fire station during Victorian times. Literally thousands of fascinating fire fighting artifacts are preserved within the 2000 square-foot structure. The largest object on display is the beautifully restored 1850s Hand-Tub Pumper called "The Protector." There is also a touching memorial dedicated to the memory of the 13 Brockton firemen who were killed in the Strand Theater disaster in 1941 - the most firemen killed in a building fire in the nation's history. Fuller Craft Museum Mission: Fuller Craft Museum will become an international forum for the recognition and exploration of craft. Our museum will be known as a familiar destination inspiring visitors from New England and beyond. People of all ages and artistic ability will come and come again to enhance their lives through an intimacy with craft. Frederick Law Olmsted (1822-1903) is recognized as the founder of American landscape architecture and the nation's foremost parkmaker. Preserving the birthplace of America's 35th president. In 1967, the president's mother returned here, where Kennedy spent his boyhood, and restored the house to her recollection of its 1917 appearance. Each year, thousands of visitors join NPS staff to share Mrs. Kennedy's memories in a tour of the house and neighborhood that, in her words, hold "many happy memories." The Larz Anderson Auto Museum is home to "Americas oldest car collection". For over 75 years, the Larz Anderson Auto Museum has been supporting the collector car community through a variety of educational programs, exhibits, and lectures. Today, the museum's primary goal is it's continued support of the collector car community through educational outreach and the preservation of our permanent collection of early automobiles. The Larz Anderson Auto Museum hopes to serve as a resource for your collector car interests. The Research Institute of Paper History and Technology is a non-profit organization, established in October of 1994. It occupies a handsome, 100-year old building, originally used as a carriage house. Now, the building houses both a complete hand papermaking facility and a museum of international papermaking that holds the tremendous collection of books, handmade paper and artifacts used in the making of paper, all of which have been collected by Elaine Koretsky and Donna Koretsky over the past thirty years. From the National Park Service - Teaching with historic places lesson plans. This lesson is based on the John F. Kennedy National Historic Site, one of the thousands of properties listed in the National Register of Historic Places. Virtual field trip onlineLongfellow National Historic Site is the home of Henry Wadsworth Longfellow, one of the world's foremost 19th century poets. The house also served as headquarters for General George Washington during the Siege of Boston, July 1775 - April 1776.The website offers historical information about the park for those who cannot visit in person. These activities are designed to help focus students on some of the larger themes presented in the museum. They challenge students to look closely and draw meaningful conclusions about the collections. The mission of the Harvard Art Museum is to preserve, document, present, interpret, and strengthen the collections and resources in its care, and in keeping with the larger purposes of Harvard University, to advance the knowledge and appreciation of art and art museums through research, teaching, professional training, and public education. A center for research and education focused on the comparative relationships of animal life. The Harvard University Herbaria, with more than 5 million specimens, are one of the 10 largest Herbaria in the world in number of specimens, and along with the library, form the world's largest university owned herbarium. The Harvard mineral collection ranks among the world's finest due to its very broad representation, wealth of rare species, large number of specimens described in the scientific literature, and the quality of its display specimens. A rich systematic mineral collection and displays of gemstones are the principal exhibits in the mineral gallery. The Museum has an active public outreach program featuring tours for school groups and teacher training workshops. The Museum also sponsors, either alone or in conjunction with other institutions, a number of public lectures each year. Through these educational efforts, the Museum seeks to promote a wider understanding of the civilizations of the Near East and their great cultural legacies. The Museum's present collection contains approximately 15,000 items including: anatomical and pathological specimens; various wax, paper mache, and dry preparation anatomical models; photographs, prints, paintings, and drawings; medical instruments and machines; and other medical memorabilia. Along with the well-known skull of Phineas Gage, the Museum holds many other rare and interesting items. Among these are the Phrenological Collection of Johann Gaspar Spurzheim, the Oliver Wendell Holmes microscope collection, and the Dr. W. T. G. Morton ether inhaler, used in the first ether-assisted operation which was performed by John C. Warren himself at Massachusetts General Hospital in 1846. Chosen by Yankee Magazine's Travel Guide to New England as Editor's Pick 2000, Great Brook Farm State Park stands as a jewel in northern Massachusetts! Barn tours run daily by appointment and public tours are available on Saturdays and Sunday from Memorial Day to Labor Day. There are over 20 miles of trails available for walkers, hikers, mountain bikers, and horseback riders. During the winter months, cross-country skiing is available and one trail is lantern lit for a "mooon light" experience! The ice cream stand is open through the month of October. Features: Accessible Camping, Accessible Picnicking, Accessible Restrooms, Canoeing, Fishing, Hiking, Hunting (Restrictions), Interpretive Program, Scenic Viewing Area, Showers, Skiing (Cross-Country), Swimming and Walking Trails. One of the leading Central Massachusetts nature sanctuaries. To further the interest and appreciation of the history of the Town of Charlton, including but not limited to preserving, restoring, and maintaining the Rider Tavern as the home of the Charlton Historical Society, and the grounds thereto and its environs. And to acquire appropriate furnishings of the period of the Tavern and to provide public access to the building on a regular basis, and to encourage the preservation of other historic structures and sites. The Chatham Historical Society was organized in 1923. Three years later, the society acquired the Atwood House -- a gambrel-roofed house built in 1752. Except for the addition of essential electricity, the old Atwood House is unchanged from when it was built and is furnished throughout as it was during the 18th and 19th centuries. At the Barrett-Byam Homestead-home of the Chelmsford Historical Society-visitors of all ages learn about Chelmsford's rich history and culture by touring period rooms and exhibits, delving into family or local history, and participating in educational programs and social activities. Both the society and the museum are of particular interest to anyone wanting to learn how more than 350 years of Chelmsford's history have produced this fine town in which to live. Virtual field trip onlineThe "Old Chelmsford" Garrison House was one of 19 British garrisons in Chelmsford in 1691. The house has been designated as a National Historical Place and is a practically unspoiled museum piece. It is a rare example of where and how the common man and his family lived in the early days. Inside, the house is furnished with beautiful antique furniture and dishes, clothes, cooking equipment, and many other items which a family would have used in their everyday life. The buttery inside the house contains a very interesting display of early dairy equipment. In addition to the house, we have a barn with a fascinating collection of old farm tools and vehicles, a Summer Kitchen, a working Blacksmith Shop, an herb garden, the Craft House, the Hill Jock House, the Fiske House barn, and someday, the McLaughlin house. Features: Camping, Fishing, Hiking, Horseback Riding Trails, Hunting, Mountain Biking, Picnicking, Restrooms, Scenic Viewing Area, Skiing (Cross-Country) and Walking Trails. Chicopee State Park, formerly the Cooley Brook Reservoir and Watershed has been developed as a high use active recreation area. The total acreage is 575 acres including a 25 acre pond. Activities include swimming, fishing and picnicking. Features: Accessible Restrooms, Non-motorized boating, Camping, Canoeing, Fishing, Hiking, Picnicking, Restrooms, Showers, Skiing (Cross-Country), Swimming and Walking Trails. A Revolution begins - A Nation is born. On April 19, 1775, the American Revolution began at Lexington and Concord with a clash of arms known to history as "the shot heard round the world." At Minute Man National Historical Park the opening battle of the Revolution is brought to life as visitors explore the battlefields and witness the American revolutionary spirit through the writings of the Concord authors. The Concord Museum collection began around 1850 and was exhibited before the Civil War; only a handful of Americana collections can claim to be as old or as remarkably well-documented. The Concord Museum collection is a distinguished one containing numerous examples of 17th, 18th, and 19th-century decorative arts -- case furniture, tables, seating furniture, clocks, looking glasses, textiles, ceramics, and metalware -- all with histories linking them to first owners in Concord. The collection has been recognized for its national significance by curators, historians and educators for more than a century.Highlights of the Museum's renowned collection include: The "one, if by land, and two, if by sea" lantern, immortalized by Longfellow's Paul Revere's Ride. Artifacts from the American Revolution, including powder horns, muskets, cannonballs and fifes The world's largest collection of Thoreau possessions, including furnishings from his cabin at Walden Pond. The contents of Ralph Waldo Emerson's study where he wrote his influential essays. Experience the site of two American revolutions: the first shots of the Revolutionary War were fired nearby -- and, less than a century later, Emerson, Hawthorne, and Thoreau spawned a revolution in American philosophy from here. Louisa May Alcott's Orchard House, home of Little Women, is a historic house museum owned and operated by the Louisa May Alcott Memorial Association. Ebenezer Crocker erected the stately colonial building forming the original part of the Museum in 1775. By 1821, Crocker's grandson operated the building as a tavern along the stagecoach line between Hyannis and Sandwich, Massachusetts. The building continued under Crocker ownership for five generations until the 1920s. In 1945, the structure Ralph and Martha Cahoon purchased the structure for use as a spacious art studio and home. Here Cape Cod's most famous native folk artists created much of their painted furniture and Ralph and Martha executed many of their well-known paintings. Upon Ralph's death in 1982, Cotuit art collector Rosemary Rapp purchased the farmhouse with a vision of opening a museum, a dream that bore fruit in 1984 with the founding of the Cahoon Museum of American Art. Today, the Cahoon Museum of American Art is a showcase for a stellar collection of the folk painting of Ralph and Martha Cahoon, as well as a choice collection of 19th, 20th and 21st century American art. From its iconic red barn to elegant allee of maples leading to the main house, this lovely property is testament to a celebrated poet's ideal of living mindfully on the land. The Homestead's pastoral landscape, largely unchanged for more than 150 years, includes pastures, fields, maple sugar bush (that has been tapped for more than 200 years), and woodlands. A self-guided map highlights the Rivulet Trail, where old growth, including ancient specimens of hemlock and a magnificent cherry tree, rise near the Rivulet, a trickling stream immortalized by Bryant's 1823 poem of the same name. Wahconah Falls offers visitors spectacular scenic views anytime of year. Features: Fishing, Hiking, Picnicking and Walking Trails. This park is one of the best kept secrets in the Massachusetts forest and park system. Here, an 1800-foot saltwater beach is backed by rambling hills of beach grass and shaded, grassy picnic sites. A broad, scenic marsh lines the Slocum River on the park's eastern edge. Features: Fishing, Canoe/Kayaking, Picnicking, Restrooms, Scenic Viewing Area, Showers, Swimming and Walking Trails. The Fairbanks House in Dedham, MA is thought to be the oldest standing timber frame building in North America. Built circa 1637-1641 for Jonathan and Grace Fairebanke and their six children, it was home to eight generations of the Fairbanks family. The Fairbanks House is now a historic house museum, open annually May 1 -- October 31. This quintessential New England village is surrounded by working farms and rolling cornfields along the Deerfield River. Here in western Massachusetts, Historic Deerfield's museum houses range in date from the 1730s to the 1840s. Inside you will find one of the best public collections of art and antiques in America while you explore the lifestyle of early New England in a working village of endless beauty. The Region's Premier Art Museum. The Cape Cod Museum of Art's mission is to collect, conserve, study, interpret and exhibit works by outstanding artists associated with Cape Cod and the Islands. Through its programs, the museum seeks to preserve the artistic heritage of the area and to foster artistic and cultural growth within the individual and the community. Franklin Park Zoo is a 72-acre site nestled in Boston's historic Franklin Park, long considered the "crown jewel" of Frederick Law Olmsted's Emerald Necklace Park System. Franklin Park Zoo's homeschool programs allows students to participate in hands-on activities that are age appropriate, have animal encounters, and more. Classes are for children ages 6 to 12 years old. Bordering both Connecticut and Rhode Island, this popular 5,730-acre state forest offers a variety of recreational opportunities. Visitors can enjoy swimming, boating and fishing at Wallum Lake and hiking, horseback riding, cross-country skiing and snowmobiling onmiles of woodland trails. Facilities include two boat ramps, a pavilion, bathhouses, swimming beach, interpretive center, picnic area and restrooms. The Midstate Trail, a long-distance hiking trail that extends through central Massachusetts to Mt. Watatic in the north, runs through the forest. High atop Captain's Hill, 200 feet above sea level, stands the Myles Standish Monument, a 116-foot granite shaft crowned by a 14-foot statue of Captain Myles Standish, military leader of Plymouth Colony. Begun in 1872, completed in 1898, and refurbished in 1988, the monument offers a panoramic view of the South Shore-church spires, several 19th-century lighthouses, the five-mile-long Duxbury Beach, Plymouth Harbor, and the Blue Hills off to the northwest. Features: Historic Site, Interpretive Program, Mountain Biking, Picnicking and Scenic Viewing Area. Carl A. Weyerhaeuser, grandson of the founder of the lumber business, chose a Rembrandt print, The Descent from the Cross by Torchlight as a graduation gift when he completed his studies at Harvard University. He was drawn to works of art on paper, particularly European and American prints. The museum has strong holdings of prints, including those by Albrecht Durer, Jacques Callot, J.M.W. Turner, Camile Corot, Kaethe Kolwitz and Rembrandt van Rijn. The museum offers a year-round schedule of exhibitions, lectures, concerts, classes, education programs, demonstrations, and tea ceremonies fulfilling the founders' vision that their family's many interests be shared with the community as the Weyerhaeuser family envisioned. A unique and popular destination. Features: Accessible Restrooms, Boat Ramp, Camping, Fishing, Hiking, Hunting, Interpretive Program, Mountain Biking, Off-Road Vehicles, Picnicking, Showers, Skiing (Cross-Country), Swimming, Trailer / R.V. Dumping and Walking Trails. The beautiful natural setting of the Benjamin Nye Homestead & Museum surrounded by several other 18th century colonial homes makes it unique. The house was built by Benjamin Nye, one of the first fifty men to settle in Sandwich. Given permission by the town to erect a mill by the stream from his pond, Benjamin Nye built one of the first grist mills in the country in 1669. Later he also built a fulling mill nearby, and his home by 1681. Although the mills are no longer there, the house remains as an excellent example of early living. Now visitors who travel the ancient way once used by stage coaches and farmers can see time turned back as they view the Benjamin Nye Homestead & Museum in its peaceful surroundings. At the Green Briar Nature Center, you will find a quiet corner of Cape Cod - a sanctuary of peace and beauty in all seasons. Located on the shores of Smiling Pool and adjacent to the famous Briar Patch of Thornton Burgess's stories, Green Briar offers interpreted nature trails and a spectacular wild flower garden. Natural history programs for children and adults are offered year-round and include classes, field trips, guided walks, and workshops on the natural sciences. We also have our very popular nature-related birthday parties. Outreach programs to area schools and other institutions are also an important part of Green Briar's services to the community. Members of the education staff visit schools, nursing homes and clubs offering slide presentations, lectures and classes. The East Sandwich Game Farm cares for and maintains a 133 acre wildlife site surrounded by salt marsh, fresh water ponds, uplands, lowlands, fields and forests. The Game Farm provides environmental education programming throughout the year. This heavily wooded park, minutes from Interstate Route 495, offers abundant beauty and many opportunities for recreation. Four lakes provide excellent fishing. Swimming for camping patrons only is available at the beach on Middle Pond. Biking, canoeing, walking, hiking, horseback riding and cross-country skiing are popular activities. In the fall the contrast of scarlet cranberry bogs against the pines is breathtaking. The MVM is the Island's largest repository of cultural artifacts, historic photographs, archival records, and genealogical records. We strive to broaden awareness and access to the Island's history and shared memory. Come join us and discover our past and present. Jug End offers one of the most scenic areas in the Berkshires. Features: Hiking and Hunting (Restrictions). This forest provides a wide variety of recreational pursuits including, boating, swimming and fishing at Laurel Lake with its beautiful, brick-lined lakeshore, camping, picnicking, hunting, horseback riding and winter sports. The woodlands are interlaced by 8 miles of forest roads, and numerous trails lead to points of scenic interest. The Essex Shipbuilding Museum tells the extraordinary story of a small New England village that built more two-masted wooden fishing schooners than any other place in the world. The Museum was established in 1976 as part of the town's observation of the American Revolutionary Bicentennial. Preserving the history of the wooden shipbuilding industry, an integral part of the economy and culture in New England and the United States since the 1630s, the Museum maintains one of the best maritime collections in the region. One of the smaller parks in Massachusetts, Fort Phoenix State Reservation combines historic features, scenic views and a variety of recreational facilities. Features: Accessible Picnicking, Accessible Restrooms, Hiking, Historic Site, Scenic Viewing Area, Showers and Swimming. Overlooking Battleship Cove, home of the World War II battleship, U.S.S. Massachusetts, the park hugs the shore of the Taunton River (Mt. Hope Bay) and offers a boardwalk, benches, groves of trees, an antique carousel, public sailing programs, and a three-acre meadow perfect for summer concerts, craft festivals and family picnics. World's Largest Naval Ship Exhibit.... The year is 1942, and the dark stain of Fascism threatens to swallow the globe whole. France has fallen...Great Britain is buckling. And the mighty hulks of Battleship Row are slumbering at the bottom of Pearl Harbor.For over thirty years, Battleship Massachusetts has welcomed visitors of all ages. - Our historic naval ships, military exhibits, and related memorabilia tell the stories of brave sailors and their proud fighting days long ago.But streaking from America is one of the most powerful fighting vessels in the world. USS Massachusetts, a sleek, new breed of battleship, races to attack North Africa. Falmouth Museums on the Green contain a treasure trove of stories and artifacts that, taken together, tell the story of the town of Falmouth, Massachusetts. The museums overlook the Village Green where members of the Colonial militia practiced in the 1700s and sea captains built their homes. Two 18th-century houses display furniture and fine art, textiles and "curiosities" that provide a window on days gone by. Exhibits tell of Falmouth's 19th-century whaling industry, pre-Civil War medicine (you'll be happy you live today!) and the life of Katharine Lee Bates, Falmouth-born author of "America the Beautiful". The 2009 special exhibit celebrates Katharine Lee Bates' 150th birthday through objects, photographs and her writings. The Falmouth Garden Club maintains three delightful gardens on the Museum grounds -- a Colonial-style flower garden, an herb garden and a Memorial Park. Visitors are welcome to picnic in the gazebo or stroll the gardens during daylight hours year-round. Savoy Mountain State Forest makes it easy to leave the everyday world behind. Features: Accessible Camping, Accessible Picnicking, Accessible Restrooms, Accessible Hiking Trails, Nonmotorized boating, Boat Ramp, Canoeing, Fishing, Hiking, Historic Site, Hunting (Restrictions), Interpretive Program, Mountain Biking, Nature & Birding Trails, Scenic Viewing Area, Showers, Skiing (Cross-Country), Swimming and Walking Trails. Features: Accessible Restrooms, Hiking, Horseback Riding Trails, Hunting (Restrictions), Mountain Biking, Off-Road Vehicles, Picnicking Skiing (Cross-Country) and Walking Trails. Bring your students on a field trip to experience our 150-acre outdoor classroom at Pilgrim Day Camp. Explore our outdoor classroom with full of hands-on activities. All of our field trips are custom-tailored to your group, and we can provide an unparalleled outdoor learning experience for students in all grade levels. Pair environmental education lessons and interpersonal games for the ultimate field trip experience! Callahan State Park is a 820-acre day use area located in Northwest Framingham. Callahan has seven miles of marked trails and is used for activities including fishing, hiking, horseback riding and cross-country skiing. Focusing on American art from the 18th century to present day, the Danforth Museum of Art is dedicated to showing the very best examples of contemporary art by both emerging and established artists, as well as an exploration of the School of Boston Expressionism. Our compelling exhibitions and permanent collection of over 3,500 works of art offer countless opportunities for all ages to explore a range of media and artistic forms of expression from the traditional to installation and new media. Our mission strongly supports education, and the 400 yearly studio art courses offered in our Museum School, our family workshops and artist lectures offer our members and visitors numerous opportunities to learn and create. The New England Wild Flower Society is recognized as one of the nation's leading plant conservation organizations. The Society owns and operates Garden in the Woods, the largest landscaped collection of wildflowers in the Northeast, as its headquarters and as a public botanic garden. This ever-changing living museum--New England's premier wildflower garden--has more than 1,000 native plant species, with many rare and endangered native specimens throughout the gardens, as well as the unique "New England Garden of Rare and Endangered Plants." Travel back in time with a tour of Framingham's former Academy building built in 1837. March to fife and drum music, practice straw braiding, string a Dennison Mfg Co tag, and much more while exploring 4 centuries of Framingham's expansive history. Interested in the Civil War? The permanent Civil War exhibit highlights the life of General George H. Gordon of the 2nd Mass.Regiment and other soldier stories, as well as how life was like in Framingham while the men were away. This 119 acre park features a 20 acre pond, walking trails, swimming, fishing, picnicking, public programs, and play equipment. Private canoes and non-motorized boats are allowed on the pond. In the winter the trails are open for cross country skiing, ice skating is allowed on the pond and often there is a fire blazing in the visitors centers fireplace. All activities offered by the park are accessible to people with disabilities. This 1,112 acre forest offers a variety of year-round activities including horseback riding, hiking, walking, hunting (some restrictions), cross-country skiing, and snowmobiling. America's oldest fishing port. Cape Ann - which includes the city of Gloucester as well as the towns of Rockport, Manchester and Essex - has also been a leading center for artists since the 19th century and the source of granite for building projects up and down the East coast. The Museum maintains and exhibits material relating to these major themes. John Hays Hammond, Jr. built his medieval-style castle between the years 1926 and 1929 to serve both as his home and as a backdrop for his collection of Roman, medieval, and Renaissance artifacts. Second only to Thomas Alva Edison in number of patents, John Hammond was one of America's premier inventors. His most important work was the development of remote control via radio waves, which earned him the title, "The Father of Remote Control." For over 100 years, the Sargent House Museum was the home of sea merchants, patriots and community leaders. A fine example of high-style Georgian domestic architecture, the house was built in 1782 for Judith Sargent Murray (1751-1820), a philosopher, writer and an early advocate of women's equality. Visitors to the Sargent House Museum learn about the early history of Gloucester from its beginnings as a farming and lumbering outpost to its evolution into the country's premier seaport. Visitors will also see a collection of original works by the great portrait painter John Singer Sargent (1856-1925) descendant of the Sargent family, who loved the house and its ties to Colonial Gloucester. The schooner Adventure was designed by Thomas J. McManus and built in 1926 - Subsequently refitted as a windjammer, Adventure carried passengers along the coast of Maine until 1987. Her grace, beauty, and prowess as a sailing vessel earned her the nickname .. Queen of the Windjammers .. In 1988 Adventure was given to the people of Gloucester to be preserved as Gloucester's historic tall ship and to be used to inform and educate the public about the important role of fishing in American history. Features: Accessible Restrooms, Camping, Fishing, Hiking, Horseback Riding Trails, Hunting (Restrictions), Mountain Biking, Showers, Skiing (Cross-Country) and Walking Trails. J.A. Skinner State Park is more than 400 acres of forest on Mount Holyoke, at the western end of the Holyoke Range. It offers breathtaking views of the Connecticut River Valley. The park's Friends group offers hikes throughout the year and hosts a sunset concert series inside the Summit House each summer. Discover our heritage at three renowned galleries of Native American, Shaker and American Art, and an original site of the Transcendentalist Movement. Stroll nature trails and enjoy Fruitlands Museum's spectacular views of the breathtaking central Massachusetts landscape. Browse the Museum Store, have a delicious lunch at the Tea Room Restaurant and enjoy a diverse schedule of special events, outdoor concerts and lectures, all intended to enhance your family's enjoyment. "The Buttonwoods", an historic site overlooking the Merrimack River. From Native American settlement to the present, the Buttonwoods Museum tells the story of life in the Merrimack Valley. Visit the John Ward House, the Duncan House and the Daniel Hunkins Shoe Shop. Experience our hands-on education and outreach programs that make this unique history come alive for people of all ages. Features: Camping/Wilderness, Canoeing, Fishing, Hiking, Fishing, Horseback Riding Trails, Hunting (Restrictions), Mountain Biking, Skiing (Cross-Country) and Walking Trails. Wompatuck State Park offers 262 wooded campsites , 12 miles of paved bicycle trails, and many miles of wooded bridle paths and hiking trails. The park is very popular with trailer campers: electrical and water hookups are available. Fishing is allowed in the Cohasset Reservoir. A boat ramp is provided for car-top boats, but no boat trailers, please. The park's Visitors' Center features exhibits about paper manufacturing and Holyoke's industrial history. A slide show celebrates the city's rich blend of cultures and people. Special programs are offered year-round. The Children's Museum, the restored antique Holyoke Merry-Go-Round and the Volleyball Hall of Fame are also located within the park. Mt. Tom boasts an unparalleled view of the Connecticut Valley north and south, the Berkshire mountains to the west and the Pelham hills to the east. Features: Accessible Fishing, Accessible Hiking Trails, Accessible Vista, Accessible Restrooms, Canoeing, Group Day Use, Picnicking, Skiing (Cross-Country), Visitors Center and Walking Trails. The Children's Museum at Holyoke provides a unique setting in which children and adults learn together about art, science and the world around them. Through hands-on exhibits, children challenge themselves, discover how the world works, explore new roles for themselves, and learn by doing. Dedicated to the sport and play of volleyball, and its players. - In 1895 in Holyoke, Massachusetts, William G. Morgan, a YMCA physical education director, created a new game called .. Mintonette .. as a pastime to be played preferably indoors and by any number of players. - The game took some of its characteristics from tennis and handball. It was not as rough as basketball, but still required quite a bit of athletic effort. Wistariahurst Museum, originally the home of prominent silk manufacturer, William Skinner and his family, has stood as an example of elegance and fine architecture since 1874. The museum features original leather wall coverings, columns, elaborate woodwork and an interesting tale of how two generations perceived and used the house very differently. The museum's permanent collection includes decorative arts; paintings and prints, textiles and a rich manuscript collection of family and local papers. Wistariahurst Museum offers a wide variety of programs and events including: workshops, concerts, lectures and demonstrations. Hopkinton State Park offers a variety of year round recreational activities including 2 life guarded swimming beaches, stocked fishing, 1 reservable group picnic site, 12 tree shaded, first come first served, picnic areas, 10 miles of marked trails, open field space and a concrete boat launching ramp for non-motorized watercraft. Environmental Educational programming is offered during the summer. Public restrooms are available during the spring, summer and fall months. This park consists almost entirely of water: the 592 acre Whitehall Reservoir was once used as a source of drinking water. The area offers boating, fishing, a public boat ramp, and hiking trails. C. M. Gardner State Park is located in the rolling Berkshire foothills along a scenic section of the Westfield River East Branch. In summer the sunlit mountain river here is a delightful spot to relax. A wooded picnic area is available on the banks of the river. Willowdale offers trail-use opportunities on 40 miles of trails and fishing and boating on 100 acre Hood Pond. Features: Hiking, Horseback Riding Trails, Hunting (Restrictions), Mountain Biking, Skiing (Cross-Country) and Walking Trails. The Ipswich Historical Society preserves an extensive collection of objects, books, papers and ephemera that have an Ipswich provenance or a connection to Ipswich history. Includes furniture collected from the 17th to 20th centuries, Fine and Decorative Arts, Textiles, 8th century Lace, Domestic and Military Objects, 19th century carriages, Photographs, Historic Books, and a large collection of journals, wills, deeds, and letters dating from 1636. Features: Accessible Boating, Accessible Restrooms, Bicycling Paths, Boating, Boat Ramp, Canoeing, Fishing, Hiking, Historic Site, Picnicking, Scenic Viewing Area, Walking Trails and Visitor's Center. October Mountain is the largest state forest in Massachusetts. Features: Accessible Camping, Accessible Restrooms, Non-motorized boating, Boat Ramp & Public Landing, Fishing, Hiking, Hunting (Restrictions), Mountain Biking, Off-Road Vehicles, Showers, Skiing (Cross-Country), Trailer / R.V. Dumping and Walking Trails. An operating museum dedicated to preserving the history of railroading in the Berkshire Hills of Western Massachusetts. Whether you choose the 90-minute round trip to Stockbridge, or the 45-minute round trip to Lee, you'll experience the excitement of rail travel in restored 1920's passenger cars staffed by our friendly volunteer train crew. Your trip begins at the historic Lenox Station, a restored landmark housing exhibits about trains, trolleys and the mansions of the Gilded Age. Listen for the conductor's call of "All Aboard!" while you sit back and relax in our vintage coaches. Watch for wildlife as we roll along the banks of the Housatonic River and learn about our region's rich industrial origins. Experience the Berkshires in a way you won't see from your car. Combine your trip with a visit to historic Lee or the world-renowned Norman Rockwell Museum in Stockbridge. A ride on the Berkshire Scenic Railway is an entertaining and educational experience for the whole family. All aboard! Edith Wharton designed and built The Mount in 1902, based on the principles outlined in her influential book, The Decoration of Houses (1897), co-authored with architect Ogden Codman, Jr. This classical revival house represents the only full expression we have of Wharton's architectural interests. The Mount is the only U.S. monument to Edith Wharton. It is also one of the mere 5% of National Historic Landmarks dedicated to women. The only extant residence associated with John Hancock, this was his boyhood home. In 1744, upon the death of his father at Quincy, the 7-year-old boy came to live at this house with his grandfather, Rev. John Hancock. In 1750 the lad joined his childless uncle, Thomas Hancock, a wealthy Boston merchant who adopted him.By the time of the Revolution, Rev. Jonas Clarke, a relative by marriage of the Hancocks, occupied the house, which had been built as a parsonage by Rev. John Hancock. Clarke encouraged Revolutionaries to use his home as a meetingplace and refuge. On the evening of April 18, 1775, patriot leaders Hancock and Samuel Adams were visiting there. Around midnight, after everyone had gone to bed, Paul Revere and later William Dawes, warning the countryside of the approach of British troops, galloped up and in formed the household. The National Heritage Museum is located in historic Lexington, the birthplace of the American Revolution. We present history by telling stories that are rich in content, use compelling narrative, and are supported by dynamic displays and interactive hands-on activities. Walden Pond has been designated a National Historic Landmark and is considered the birthplace of the conservation movement. Park Interpreters provide tours and ongoing educational programs. In summer the Reservation is a popular swimming destination. In the spring and fall, many people hike the trails that ring the pond and visit the replica of Thoreau's one-room cabin. Year round interpretive programs and guided walks are offered as well as a gift shop, bookstore and the Tsongas gallery. The DeCordova Museum and Sculpture Park is a public museum of art established to educate as broad and diverse a public as possible about modern and contemporary American art. The Museum accomplishes this mission by focusing primarily, though not exclusively, on the art of the New England region. DeCordova educates through exhibitions, collections, classes, outreach programs, and a full schedule of activities designed to enhance our public's engagement with art and artists. Walter Gropius, founder of the German design school known as the Bauhaus, was one of the most influential architects of the 20th century. He designed this house as his family home in 1937, when he came to teach at Harvard's Graduate School of Design. Modest in scale, the house was revolutionary in impact. It combined the traditional elements of New England architecture -- wood, brick, and fieldstone -- with innovative materials rarely used in domestic settings at that time -- glass block, acoustical plaster, and chrome banisters, along with the latest technology in fixtures. In keeping with Bauhaus philosophy, every aspect of the house and its surrounding landscape was planned for maximum efficiency and simplicity of design. The house contains an important collection of furniture designed by Marcel Breuer and made for the Gropiuses in the Bauhaus workshops. With all the family possessions still in place, the house has an immediacy rarely found in house museums. Visitors to the Storrs House are impressed with this colonial home. Its large rooms with its many fine pieces of early furniture, choice items of tableware, and paintings and portraits on view never fail to delight. The wide central staircase leading to the second floor provides an entry to four rooms, three of which are bedrooms. The closets of each are crowded with gowns, coats, and hats made of natural fibers that are rarely used in their manufacture in our world of synthetics. The Park educates visitors about the 19th century textile industry and use of waterpower. The website offers historical information about the park for those who cannot visit in person. The forest has six miles of trails offering hiking, bicycling, horseback riding, cross-country skiing, and snowmobiling. Hunting is permitted in season. Visitors can participate in activities, including canal rides, and explore exhibits about Lowell's role in America's industrial history presented in conjunction with the Lowell National Historical Park. A Victorian garden in the heart of the downtown area, and over two miles of landscaped esplanade, summer concerts, and swimming and boating in the Merrimack River are additional attractions at this popular park. The American Textile History Museum tells America's story through the art, history, and science of our textiles. Since its establishment in 1994, the Massachusetts Quilt Documentation Project has documented over 6,000 quilts originating or currently owned in this state. This summer, many historically significant or esthetically appealing quilts documented by MassQuilts will be on display at the New England Quilt Museum in Massachusetts Quilts. The Whistler House Museum of Art, birthplace of artist James Abbott McNeill Whistler, was established in 1908 as the permanent home of the Lowell Art Association. Founded in 1878, the Lowell Art Association owns and operates the Museum as a historic site. Built in 1823, the Whistler House presents the richness of the history and the art of Lowell. The Museum maintains its permanent collection and organizes contemporary and historical fine arts exhibitions. It also sponsors varied educational and community oriented cultural programs. - Come see where Whistler first met his mother! The Tsongas Industrial History Center is a hands-on education center where students learn about the American Industrial Revolution through activities and tours of the sites where history and science happened. Students "do history" by weaving, working on an assembly line, role-playing immigrants, voting in a town meeting, or becoming inventors. Students can also "do science" as they use the engineering design process, manipulate simple machines, create canal systems and test water wheels, measure water quality, trace the flow of groundwater pollution, or discover river cleanup techniques. Lynn Museum & Historical Society is the only organization in the city devoted to collecting, preserving, and fostering an appreciation of Lynn's rich history. Did you know that Lynn is the home of Marshmallow Fluff, or that a sea serpent was once sighted in Lynn Harbor? A membership organization open to the public, LMHS fulfills its mission by offering youth and adult programs, maintaining a research library and archives, and mounting several changing exhibitions each year. We invite you to visit and find out what you have been missing! Features; Bike Paths, Hiking, Horseback Riding, Trails, Hunting (Restrictions), Mountain Biking, Skiing (Cross-Country) and Walking Trails. Contains a wide variety of coastal environments, including barrier beach and dunes, salt marsh, scrub oak/pitch pine woodland and "kettle" ponds. Features: Accessible Beaches, Accessible Restrooms, Boating (all types), Canoeing, Fishing, Hiking, Hunting (Restrictions), Interpretive Program, Scenic Viewing Area, Swimming and Walking Trails. The Cape Cod Children's Museum offers educational programs that enhance the teachings of preschools, elementary schools, and other children's organizations with fun and engaging hands-on learning. Nasketucket Bay State Reservation in Mattapoisett offers 209 acres of wooded trails, open field and rocky shoreline for the public to enjoy. Features: Walking Trails. The Museum of the Mattapoisett Historical Society is an adventure in 19th Century living. Housed in a charming Meeting House dating from 1821 and now beautifully restored, the ancient pews, graceful galleries, and its replica of the old high pulpit with sounding board above, carry one back to an age when life in this quiet New England village revolved around the Church and Town Meeting. The Meeting House is listed in the National Register of Historic Places. Attached to the Meeting House is a replica of a two hundred year old barn (known as the Carriage House). Its huge timbers of native white pine remind one of construction techniques practiced by the same sturdy artisans who used the ancient tools making up the exhibits housed in the barn. Life in the 19th century comes alive for those who visit here. The Blue Hills Trailside Museum is the interpretive center for Blue Hills Reservation and is managed by Mass Audubon. Indoor exhibits feature wildlife you may see while exploring the reservation's 150 miles of trails. Outside the museum, stroll through exhibits featuring native wildlife such as wild turkeys, red-tailed hawks, and a snowy owl. Captain Robert Bennet Forbes (1804 ~ 1889) was a member of the network of prominent families who helped shape maritime and trading history during the Golden Era of sailing ships. He and his Perkins uncles spearheaded the expansion of U.S trade with China, contributing to Boston's status as the second busiest port in America during the mid 1830's. Captain Forbes was a China Trade merchant, ship owner, designer, writer, and philanthropist of international stature. The Forbes House Charitable Trust was established in 1984 to ensure the preservation of the house, collections, and grounds at 215 Adams Street. These treasures are interpreted through tours, lectures, programs, and special exhibitions and events. Wild and rugged Monroe State Forest has deep valleys, steep mountains and tall trees reaching for the sky. To view this forested landscape with valley-filled fog is an unforgettable experience. Features: Wilderness Camping, Fishing, Hiking, Horseback Riding Trails, Hunting, Scenic Viewing Area, Skiing (Cross-Country) and Walking Trails. The museum, set in the Berkshire hills, is an elegant Georgian saltbox originally built circa 1750 as a parsonage. Authentically restored, filled with antiques and surrounded by beautiful grounds and hiking trails, the museum is open Thursday through Monday between 11 am and 4 pm from May 27th to mid October. In the extreme southwest corner of Massachusetts is a cluster of parks noted for their spectacular scenery and stunning views. Features; Canoeing, Hiking, Picnicking, Restrooms, Scenic Viewing Area, Skiing (Cross-Country) and Walking Trails. In the extreme southwest corner of Massachusetts is a cluster of state parks noted for their spectacular scenery and breathtaking views. Features: Wilderness Camping, Fishing, Hiking, Horseback Riding, Trails, Hunting (Restrictions), Mountain Biking, Picnicking, Restrooms, Scenic Viewing Area, Skiing (Cross-Country) and Walking Trails. Bash Bish Falls, one of Massachusetts' most dramatic and its highest single-drop waterfall. Cascading water tumbles through a series of gorges and a hemlock-hardwood ravine forest, and then drops about 60 feet into a sparkling pool below. Harold Parker State Forest, which lies in Andover, North Andover, North Reading and Middleton, comprises just over 3,000 acres of Central Hardwood-Hemlock-White Pine type of forest. The forest is twenty miles north of Boston and within one hour's drive of three million people. Recreational opportunities include hiking, mountain biking, fishing, hunting, horseback riding, swimming, camping and picnicking. The forest has over 35 miles of logging roads and trails and offers quiet seclusion to off-road hikers and bikers. The Nantucket Whaling Museum features a restored 1847 candle factory, expanded top-quality exhibition space, a fully accessible rooftop observation deck overlooking Nantucket harbor, and the sperm whale skeleton. The Hadwen House is a Greek Revival mansion built in 1845 by whaling merchant and silver retailer William Hadwen. The building and its twin Greek Revival mansion at 94 Main Street were the most ostentatious private dwellings the island had ever seen, and a symbol of the wealth and prosperity of the island's leading citizens. Visitors are also invited to enjoy the ground's Victorian gardens, which are carefully maintained by the Nantucket Garden Club. Also called the Jethro Coffin House, this is the oldest residence on Nantucket. The "Old Mill" is the oldest functioning mill in the country. It is the only surviving mill of the four "smock mills" that once stood overlooking Nantucket town. Smock mills have a fixed body containing machinery and a cap that turns to face the sails into the wind. In 1701 Mary Coffin Starbuck became interested in the faith of the Quakers after hearing itinerant Quaker preacher John Richardson speak before a crowd of Nantucketers. It was in her house, situated now at 10 Pine Street, that early Quaker meetings took place. In the years after 1708, the Nantucket Meeting outgrew a series of meetinghouses, the largest being the Great Meeting House on the site of the Quaker Burial Ground at the end of Main Street. Welcome to the Nantucket Historical Association's educational program, dedicated to celebrating and reviving Nantucket's rich tradition in historic decorative arts and crafts. Immerse yourself in history at 1800 House, the NHA's restored nineteenth-century dwelling located at 4 Mill Street. Indulge your artistic side and learn centuries-old techniques taught by artisans from Nantucket and throughout New England. The Nantucket Shipwreck & Lifesaving Museum preserves the memory of those Islanders who risked their lives to save shipwrecked mariners. These men served in organizations devoted to maritime rescue, such as the Massachusetts Humane Society, United States Life-Saving Service and the United States Coast Guard. Cochituate State Park is a popular regional day use park featuring water based recreational opportunities including boating, swimming, windsurfing, and fishing on its three large lakes. Picnicking, swimming, and boat launching are limited to the main area of the park on the middle lake and boaters can gain access to the other lakes through channels under roadways. Explore the Farm through an interactive tours and see what farming is all about. Learn about different farm animals, and the plants grown in the garden, greenhouses, compost piles, and the maple sugar shack and honey bee hives. Tours are 60 mins., $7 per child, with a 6 child minimum. Tours are scheduled Mon-Sat, 9am-5pm, and times are subject to teacher availability. Housed on the lower level of the Bacon Free Library building in South Natick, the Historical Society's museum features among its collections the Indian Bible of the 17th century missionary, John Eliot, founder of the Natick Indian Community. The museum collection also includes artifacts of Archaic and Woodland as well as Christian Indian cultures. Students of literature and history will be interested in the museum's collection of memorabilia of many of Natick's most distinguished citizen's including Harriet Beecher Stowe, Horatio Alger Jr., and Henry Wilson, the 20th Vice-President of the United States. The Wilson Memorial Shoe Shop stands on West Central Street. Early maps, photographs, furnishings, tools, and costumes are displayed to illustrate the community's daily life in earlier periods. Of particular interest to students of ornithology is the museum's natural history collection that features an outstanding array of birds of North and South America. Open dawn to dusk. Hemlock Gorge in Needham and Newton is a small 23-acre wild area along the banks of the Charles River. The park is dominated by the steep gorge, the river, its surrounding stands of Hemlock trees and Echo Bridge, a huge granite and brick structure that spans the river and gorge. Features: Hiking and Picnics. Open year-round, dawn to dusk. Formerly used as a landfill and a drive-in theatre, the site of Pope John Paul II Park was once a barrier between the people of Dorchester and the Neponset River waterfront. Features: Soccer, Running, Fishing, Bird Watching, Hiking, Playground, Restrooms and Picnicking. The park commemorates New Bedford as a world famous whaling port during the 19th century. The website offers historical information about the park for those who cannot visit in person. The New Bedford Fire Museum is a unique place dedicated to the preservation of the development of urban fire fighting technology, equipment, and organizations. The museum is located in Old Fire Station No. 4, an authentic fire house and features restored vehicles, uniforms to try on, bells to ring, and poles to slide down. Old Fire Station No. 4 was built in 1867 and was possibly the oldest continuously working fire station in the country until 1979. A portion of the station house is still used for emergency medical vehicles. The museum is staffed by active and retired fire fighters who volunteer their time to run the museum. The Rotch-Jones-Duff House & Garden Museum is so named for the three prominent families who resided at 396 County Street. The house and gardens chronicle 150 years (1834-1981) of economic and social life in the city, as reflected in the lives and stories of those who lived and worked at the property. Furnished period rooms display the decorative arts, furniture and belongings of the families and time frame. The Museum offers permanent and changing exhibits, lecture series, community and educational programs. The Spencer-Peirce-Little Farm is a family-friendly site with activities for visitors of all ages. It features an imposing architectural jewel, a late seventeenth-century major house built as the country seat of wealthy Newburyport merchants. It is also a foster farm in partnership with the Massachusetts Society for the Prevention of Cruelty to Animals, with farm animals that may be visited year round.Learn about life on a farm over the centuries through hands-on activities. Pump water from the well outside the kitchen or sit in a horsehair-covered rocking chair and look through a stereo-viewer in the nineteenth-century parlor. Become an archaeologist as you piece "artifacts" together. Explore nature trails, and enjoy a picnic under the ancient maple trees. The farm is open on a drop-in basis. Architectural tours are available at all five Newbury region properties. The former Moseley family estate on the Merrimack River, this park features 19th century gardens and plantings, rolling meadows, towering pines, and one of the largest naturally-occurring stands of mountain laurel in Massachusetts. Most breathtaking are the ornamental trees and masses of azaleas and rhododendrons that bloom in May and June. An exquisite place for walking, biking, horseback riding and informal picnics. The Newburyport Custom House Maritime Museum was designed by architect Robert Mills, who also designed such historical buildings as the Washington Monument. Built in 1835, this building was originally used as a Custom house in which the federal government collected taxes on imported goods brought home to Newburyport by ship captains from far away ports. The Museum maintains original artifacts from the prosperous trade era, maritime art, models of Newburyport-built vessels, trades routs and journals, and old maps showing the city's birth. Exhibitions focus on Newburyport's role on privateering, and fame - and fortune - it brought to local captains such as Moses Brown. Tours for students, programs for families and kids, and lectures fro the maritime enthusiast, all feature Newburyport's connection to the sea and rich maritime heritage. The Caleb Cushing House Museum houses the collection of the Historical Society of Old Newbury. The society dates back to 1877 and was organized for the purpose of the study and remembrance of Newbury's history. Today the Cushing House offers visitors a trip into Newburyport's past. A fine collection of local furnishings graces its rooms. Unique pieces are featured throughout. The Oriental Room boasts fine early China trade decorative arts including four magnificent Chinese coastal Hong paintings. In the canopy bedroom stands a carved 17th century Dutch cradle and a three-sided crib. Collections abound in the Cushing House. Among them are silver, needlework, antique fans, hatboxes and 19th century toys. An extensive clock collection includes examples made by local master clockmakers David Wood and Daniel Balch. A Cecelia Beaux portrait of Margaret Cushing and paintings done in 1801 by John Brewster, Jr., of Newburyport's Prince family are a sampling of the scores of the notable portraits on display. The Cushing House also maintains a collection of area maps, photographs and genealogical references representative of the area's past. The Newton History Museum presents permanent and changing exhibits on a variety of historic topics. Discover what life was like for New England's earliest settlers. Learn about the abolition movement in Newton and how the Jackson family used their home as a stop on the Underground Railroad. The museum houses the Newton Historical Society and holds an extensive library and research collection. Exxcel is the perfect place to have your next Fit Trip. Opportunities are available for 1 to 2 hours for any organization looking for fun & fitness to challenge any child's strength and creativity. Our 15,000 square foot gym is fully equipped with state of the art Olympic apparatus, foam pit, bungee, trapeze, zip line and includes a 20'x60' rock wall. Exxcel provides a vast array of activities for children to exercise in fun and safety. Discover a geologic wonder at this 48 acre park. Examine the only naturally formed white marble arch and man-made white marble dam in North America, and tour an abandoned marble quarry. Features: Fishing, Historic Site, Interpretive Program, Picnicking, Restrooms (Accessible), Scenic Viewing Area and Walking Trails. A former railroad yard, this urban park uses historical artifacts and exhibits to bring to life the controversial and danger-filled construction of the Hoosac Tunnel, one of the greatest engineering feats of the 19th century. Features: Accessible Picnicking, Accessible Restrooms, Historic Site, Picnicking and Visitor's Center. Mount Greylock rewards the visitor exploring this special place of scenic and natural beauty. Deer Hill Falls, for example, is a feathering cascade to be found deep in the heart of Greylock. The Museum of Printing is dedicated to preserving the history of the graphic arts, printing equipment and printing craftsmanship. In addition to many special collections and small exhibits, the Museum contains hundreds of antique printing, typesetting and bindery machines, as well as a library of books and printing related documents. A knowledgeable tour guide takes visitors around. The Society was founded in 1913 by Samuel Dale Stevens, Jr. to preserve the history and traditions of his community. - The Society maintains two sites that feature museum galleries .. 1715 Parson Barnard House .. 1789 Johnson Cottage - Permanent and changing exhibits featuring North Andover in the 17th through the 20th centuries. Enter a world of early 20th-century country elegance at a former farm-turned-estate, where refined interiors are complemented by an array of lovely gardens. Borderland is one of the most historically significant tracts of publicly owned land in the Commonwealth. Created in the early 1900s by artist and suffragist Blanche Ames and her botanist husband Oakes, Borderland offers many of the same pleasures that the Ames family enjoyed: walking and horseback riding on woodland trails, fishing and canoeing in the ponds, or, in winter, ice-skating and sledding. Benjamin Willard began making clocks in his small, rural Massachusetts workshop in 1766. His three younger brothers, Simon, Ephraim and Aaron, quickly learned the trade and began a three-generation clockmaking legacy in the Grafton workshop. Today, over 80 Willard clocks are exhibited in the birthplace and original workshop of the Willard clockmakers, along with family portraits, furnishings and other Willard family heirlooms. Works of brothers Franklin and Zabdiel are also documented. The Connecticut River Greenway, is one of Massachusetts' newest State Parks. It connects open spaces, parks, scenic vistas, and archaeological and historic sites along the length of the Connecticut River as it passes through the state. Features: Accessible Boating, Accessible Restrooms, Nonmotorized Boating, Motorized Boating, Canoeing, Fishing and Picnicking. Historic Northampton is a museum of local history in the heart of the Connecticut River Valley of western Massachusetts. Its collection of approximately 50,000 objects and three historic buildings is the repository of Northampton and Connecticut Valley history from the Pre-Contact era to the present. The museum maintains a permanent exhibit chronicling the rich history of Northampton in its main gallery and features changing exhibitions in its rotating exhibit space. Historic Northampton constitutes a campus of three contiguous historic houses, all on their original sites. The grounds themselves are part of an original Northampton homelot, laid out in 1654. The Smith College Museum of Art is a teaching museum devoted to providing visitors of all ages with lively educational experiences that instill an appreciation of art and the enjoyment to be found in museums. SCMA offers a number of special events for children ages 4--10, accompanied by an adult, such as Family Days. These events feature art projects and hands-on activities throughout the museum. The Smith College Museum of Art welcomes everyone! You do not have to be affiliated with Smith to visit the museum or to participate in the museum's programs. Children, adults, families, students, non-students--all are welcome! Surrounded by gentle meadows and wooded hills, the 300 year old village of Deerfield speaks with quiet eloquence of New England's rural past. The village museum, Memorial Hall, is one of New England's oldest museums. When Deerfield Academy's original 1798 school building became available, antiquarian George Sheldon organized the collection of artifacts he was assembling and in 1880, Memorial Hall opened. The museum's extraordinary collection of furnishings, paintings, textiles and Indian artifacts is "the finest collection of local antiquities in New England and one of America's oldest museums." Located in Osterville village, the museum complex includes three historic buildings set on two acres of beautiful grounds, providing a lovely setting for a picnic lunch prior to touring the museum. The Captain Jonathan Parker House, circa 1824, the Cammett House, circa 1730, and the Herbert F. Crosby Boat Shop, circa 1855 present different views of the village that spans three centuries of Osterville and Cape Cod history. A peaceful 400-acre retreat in the heart of central Massachusetts, Moore was the site of grist and saw mills from 1747 through the early part of this century. Features: Canoeing, Fishing, Hiking, Historic Site, Hunting, Interpretive Program, Scenic Viewing Area, Skiing (Cross-Country) and Walking Trails. The Peabody Historical Society's extensive collections, gathered over the course of the past century, document over 300 years of the region's history. The collections include: Paintings, Prints & Drawings, Furniture & Decorative Arts, Costumes & Textiles Ceramics, Glass & Metalwork and Historical Artifacts. Features: Camping, Fishing, Hiking, Hunting, Leashed Pets Allowed, Scenic Viewing Area and Skiing (Cross-Country). Visitors come to this museum to check out the dioramas portraying the history, conservation and management of central New England forests. Two self-guided nature trails, starting from the museum, provide an excellent way to enjoy a hike in the woods while learning more about the history, environment and beauty of the Harvard Forest. Note trail maps and guides are available at the kiosk in front of the museum. Thirty miles of trails encourage visitors to escape into the quiet of the state forest which follows the crest of the Taconic Mountain Range separating Massachusetts and New York. Features; Accessible Hiking Trails, Accessible Picnicking, Accessible Restrooms, Accessible Scenic Vista, Non-motorized boating, Fishing, Group Day Use, Historic Sites, Horseback Riding Trails, Hunting (Restrictions), Mountain Biking, Nature & Birding Trails, Off-Road Vehicles, Skiing (Cross-Country), Swimming and Walking Trails. Join us as we celebrate the 225th anniversary of the building of Arrowhead. In the barn, explore life in the 18th century through an exhibit of tools and furniture, placed in the context of a period room (from the Timothy Childs House, Pittsfield, recently donated to us by the Berkshire Museum).Friday, Saturday and Sunday, we will have family-friendly programming around a cooking fire, talk about the early settlers, Native American inhabitants and life in thewilderness of Western Massacusetts. At the Berkshire Museum, there's something for everyone. We offer a unique blend of exhibitions, galleries, and attractions for families of all ages. See exhibitions, fine art, and sculpture from around the world. Explore our touch tank and aquarium. Be amazed at our collection of artifacts from Native American cultures and ancient cultures of Egypt, China, and more. Marvel at the technology that awaits in the new Feigenbaum Hall of Innovation. Hancock Shaker Village, Inc., is a private, not-for-profit educational organization. Our mission is to bring the Shaker story to life and preserve it for future generations. The Shaker Central Ministry closed the Hancock community in 1960 and sold the buildings and surrounding acreage to a group of Shaker enthusiasts, collectors and scholars who formed the not-for-profit corporation that eventually became Hancock Shaker Village. The museum opened to the public on July 1, 1961. Virtual field trip onlinePlimoth Plantation offers kids interesting facts and activities about the 17th-century. The Plymouth Antiquarian Society, founded in 1919, is Plymouth's largest organization dedicated to preserving historic houses and landmarks. The Society owns and maintains three historic houses from different centuries: the 1677 Harlow House, the 1749 Spooner House, and the 1809 Hedge House, and an ancient Native American site, Sacrifice Rock. Since 1920, PAS has welcomed the public to its historic properties for tours, exhibits, and programs. The historic houses tell the story of everyday life in Plymouth from the mid-1600s to the present, with period rooms featuring early American furnishings and domestic artifacts. The Society also offers a seasonal calendar of special events and a children's summer series on local history. Ellisville Harbor is a unique coastal property, including an 18th century farmstead, beachfront, salt marsh, rolling meadows, and red pine forest. It's also one of the most scenic spots on the South Shore coastline, where you can see small fishing boats, a barrier beach, sphagnum bog, forested upland and open meadows. Recreation activities include walking, bird watching, beach combing and sightseeing. In fall and winter, harbor seals can often be seen just off-shore. The Pilgrim Story -- the hazardous voyage, the 1620 landing, the fearful first winter, the First Thanksgiving at Plymouth -- is the treasured heritage of all Americans. Pilgrim Hall, built in 1824, is a gallery museum in the center of historic Plymouth, Massachusetts. The nation's oldest continuously--operating public museum, Pilgrim Hall houses an unmatched collection of Pilgrim possessions. Among its irreplaceable treasures are William Bradford's Bible, Myles Standish's sword, the only portrait of a Pilgrim (Edward Winslow) painted from life, the cradle of New England's first--born, Peregrine White, the great chair of William Brewster, and the earliest sampler made in America, embroidered by the teenage daughter of Myles Standish. The possessions and artifacts of the Pilgrims tell the story of brave and determined men and women, and their attempts to build lives and homes for themselves and their children in a new world. Richard Sparrow, his wife Pandora, and son Jonathan, left their home in England, and arrived in New Plimoth by 1633. As a freeman, Richard was granted a house tract of six acres in 1636, which required him to construct a house within four years. The original two-story house contained one room on each level and utilized cross summer beam construction. With its large rooms, leaded glass windows and paneled walls, it was a grand home on the banks of what is now known as Town Brook. Today it is an Historic House Museum and Art Gallery. Features: Historic Site, Interpretive Programs, restrooms and Scenic Viewing Area. Mount Wachusett stands as a unique landmark within the central New England landscape. Features: Accessible Picnicking, Accessible Scenic Vistas, Accessible Restrooms, Hiking, Historic Site, Hunting (Restrictions), Skiing (Cross-Country), Visitors Center and Walking Trails. Pilgrim Monument stands high on a hill, overlooking the town center. It is the symbol of Provincetown built to commemorate the "first landing" of the Mayflower Pilgrims in Provincetown on November 21, 1620, and their signing of the Mayflower Compact here. Each year at Thanksgiving townsfolk celebrate that historic event with the Lighting of the Monument. Adams National Historical Park was the home of two American presidents their families from 1720 to 1927. The website offers historical information about the park for those who cannot visit in person. Welcome to the United States Naval Shipbuilding Museum Online. Located in historic Quincy, Massachusetts. The USNSM is home to the USS Salem CA 139, the world's only preserved Heavy Cruiser. This 716.5 foot long Cold War veteran served proudly as the Flag Ship of the 6th Fleet and now serves as a memorial to the proud shipbuilding heritage of this country and specifically this area. We are located in the former Fore River Shipyard, Quincy, once one of the Nation's largest Shipbuilding Enterprises. This is a special kind of park. It embraces numerous towns, villages and a total population of about 300,000. Quinebaug & Shetucket is not a traditional park. Instead, citizens, businesses, nonprofit cultural and environmental organizations, local and state governments, and the National Park Service work together to preserve and celebrate the region's cultural, historical and natural heritage. In 1884 a young Rehoboth minister, George H. Tilton, decided that something should be done to preserve the remnants of the town's colonial past. Thus inspired he founded the Rehoboth Antiquarian Society in March of that year. The Society was established for several purposes: to preserve artifacts relating to Rehoboth's history, to maintain a meeting hall, and to run a consolidated school. Modeled after a local 1760 gambrel-roofed house, the Museum contains exhibit rooms, artifact storage area, and social room with kitchen facilities. Also on the grounds is a reproduction of a 1746 post-and-beam barn. It was constructed in 1993 with a community barn raising, one of the events that celebrated Rehoboth's 350th anniversary. Fort Revere Park is an 8+ acre historic site located atop Telegraph Hill in Hull Village. The Park contains the remains of two seacoast fortifications, a water tower with an observation deck, a military history museum and picnic facilities. Fort Revere Park is open daily, sunrise to sunset, year round. Tower and Museum will be open 10 am to 5pm, weekends and holidays, May 24 through September 1. The tower and Museum may also be open at other times by arrangement with the park staff. Features: Accessible Restrooms, Fishing, Historic Site, Interpretive Program, Picnicking, Scenic Viewing Area, Skiing (Cross-Country) and Walking Trails. Mission: To have the general supervision of the little stone building about midway between Gloucester and Rockport, built by James Babson as cooperage shop about 1658. To provide for the opening of the building to the public on such days as the trustees permit and to perform any services which will perpetuate and/or care for the history, writings, pictures, furniture and any other articles of interest pertaining to the descendants of James Babson which the trustees may deem worthy of preservationTo have the general supervision of the little stone building about midway between Gloucester and Rockport, built by James Babson as cooperage shop about 1658. To provide for the opening of the building to the public on such days as the trustees permit and to perform any services which will perpetuate and/or care for the history, writings, pictures, furniture and any other articles of interest pertaining to the descendants of James Babson which the trustees may deem worthy of preservation. The Dillaway-Thomas House at Roxbury Heritage State Park was built in 1750 and served as headquarters for General John Thomas and the Continental Army during the siege of Boston in 1775. The house has been restored to show how it changed over two centuries and now offers exhibits which interpret both the past and present history of Roxbury and its people and cultures. A new park adjacent to the Dillaway-Thomas House provides a scenic overlook of downtown Boston. The National Center of Afro-American Artists fosters and presents the finest in contemporary, visual and performing arts from the global Black world. Through its teaching, visual and performing arts divisions, the NCAAA brings the best of the Black world to you. Royal Governor William Shirley's Georgian mansion is the only remaining country house in America built by a British Royal Colonial Governor. This imposing design is attributed to Peter Harrison, "America's first architect." Rutland State Park is a 300 acre recreation area with developed facilities for fresh water swimming, picnicking and boating. At Whitehall Pond, there is a swimming beach and adjacent picnic area. Features: Non-motorized boating, Canoeing, Fishing, Group Day Use, Hiking, Hunting (Restrictions), Mountain Biking, Picnicking, Restrooms, Scenic Viewing Area, Skiing (Cross-Country), Swimming and Walking Trails. Myles Standish State Forest is the largest publicly owned recreation area in southeastern Massachusetts. Features: Accessible Restrooms, Bike Paths, Non-motorized boating, Boat Ramp, Camping, Canoeing, Fishing, Hiking, Horseback Riding Trails, Hunting (Restrictions), Interpretive Program, Picnicking, Showers, Skiing (Cross-Country), Swimming, Trailer / R.V. Dumping and Walking Trails. Mt. Sugarloaf offers a commanding view of the Connecticut River, the Pioneer Valley, and the Pelham and Berkshire Hills. Features: Accessible Scenic Vista, Hiking, Picnicking, Restrooms and Scenic Viewing Area. Colonial Settlements, Maritime Adventures and Centuries of American Growth - The Essex National Heritage Area begins just 10 miles north of Boston and covers 500 square miles of eastern Massachusetts to the New Hampshire border. The Area includes hundreds of historical sites, miles of intact landscapes, glistening coastal regions and lifetimes of rich experiences that chronicle the history of our region and of our nation. "To the Farthest Ports of the Rich East" - Salem Massachusetts was once one of the most important ports in the nation. The historic buildings, wharves, and reconstructed tall ship at Salem Maritime tell the stories of the sailors, Revolutionary War Privateers, and merchants who brought the riches of the Far East to America. Discover 330 years of Salem's history as you experience this museum and collection of historic buildings. Professional guides will warmly greet you for an unforgettable historical experience. Outside, spectacular seaside gardens await you. Inside of The House of the Seven Gables, also known as the Turner-Ingersoll Mansion, you will discover a mysterious secret staircase where you least expect it! Built in 1668, this is the oldest surviving 17th century wooden mansion in New England. The House of the Seven Gables inspired author Nathaniel Hawthorne to write his legendary novel of the same name. As a matter of fact, the very home where Hawthorne was born, was moved to The House of the Seven Gables and now lies just feet away from the mysterious mansion made famous in fiction. The House of the Seven Gables also has an 18th century granite sea wall, and two seaside Colonial Revival Gardens. The museum houses more than 2,000 artifacts and objects, more than 40 framed works, 500 photographs and glass plate negatives, and more than 650 volumes in our research and rare book library. The Peabody Essex Museum's student programs motivate student learning by providing opportunities to discover and explore unique works of art and culture from around the world. Hands-on art-making programs focus on the creative process, exploration of art materials and self-expression. This compelling museum is composed of eerily life-like London made wax figures that depict Salem's vivid history from its founding in 1626 through the terrifying Hysteria of 1692. Come face to face with such notable Salem figures as the famed author of The Scarlet Letter and The House of Seven Gables - Nathaniel Hawthorne, the pirates of New England, the merciless Witch Trials judge Colonel John Hawthorne, and Tituba the accused " witch " who helped fuel the hysteria of 1692 - just to name a few! She afflicts me! She comes to me at night and torments me! She's a witch! Words such as these struck terror into the hearts of Salem townspeople in the early spring of 1692 as hysterical young girls called out names. By summer, 180 people had been accused and imprisoned - defenseless against accusations of witchcraft in a society driven by superstition and fear. The court, formed to try the victims, acted quickly. Bridget Bishop was tried on June 2 and hanged on June 10 thereby setting the precedent for a summer of executions. The Salem Witch Museum brings you there, back to Salem 1692. Visitors are given a dramatic history lesson using stage sets with life-size figures, lighting and a narration - an overview of the Witch Trials of 1692. Salem's Most Visited Museum! Salisbury Beach is one of the state's most popular ocean beaches stretching for 3.8 miles along the Atlantic Ocean. This 521-acre park offers swimming, boating, fishing and camping, and is very popular with trailer campers. Facilities include a 484-site campground with renovated bathhouses, an extensive day-use parking lot, three new comfort stations for the beach going public with over the dune boardwalks, and a new playground and pavilion area. The facility also has two boat ramps that are located on the Merrimack River at the campground's southern edge. Scusset Beach is located on Cape Cod Bay at the east end of the Cape Cod Canal. It is a popular swimming and camping area. Features: Accessible Beaches, Accessible Camping, Accessible Fishing, Accessible Restrooms, Accessible Hiking Trails, Historic Site, Hunting (Restrictions), Interpretive Program, Picnicking, Scenic Viewing Area, Showers, Swimming, Trailer / R.V. Dumping, Trailer / R.V. Hookup and Walking Trails. This quiet year-round campground at the beginning of Cape Cod has over 285 sites in a wooded setting (camping site 1; camping site 2). Yurt camping is now available. Features: Accessible Restrooms, Accessible Camping, Hiking, Historic Site, Hunting (Restrictions), Interpretive Program, Picnicking, Showers, Skiing (Cross-Country), Swimming, Trailer / R.V. Dumping and Walking Trails. The Museum is famous for its Dexter Rhododendrons that bloom late May into early June. The beautifully landscaped grounds are a naturalized woodland park on the edge of upper Shawme Pond. A Shaker round barn houses the J. K. Lilly III Antique Automobile Collection with its stunning display of antique automobiles. The American History Museum will be opening this summer with several New Exhibits. An operating hand-carved carousel and many of America's most distinguished artists' works are on exhibit in the Art Museum. The Sandwich Glass Museum combines classic exhibits of its extensive collection with state-of-the-art technology used to bring many of the new installations to life. The Thornton Burgess Museum is housed in the Deacon Eldred house on historic Shawme Pond. The Museum features a variety of memorabilia relating to the life and times of Thornton Burgess - the famed children's author and native son of Sandwich, MA. Visitors can browse a variety of books, toys, games, and household goods that feature some of Burgess' most famous characters including Peter Rabbit, Reddy Fox, and Jimmy Skunk. Currently on display is a red work quilt made by a 10 year old girl with Ruby Short McKim's patterns based on the Burgess Bedtime Stories. The highlight of the museum exhibit is a display of several recently acquired Harrison Cady illustrations. Also housed in the museum are a gift shop, featuring Green Briar Jam Kitchen products, educational toys and games, storybooks, and Cape Cod goodies, plus the Sandwich Chamber of Commerce Visitor Information Center. "A Worthy Prototype of American Heavy Industry" - Explore this place where European iron makers brought their special skills to a young Massachusetts colony. Three hundred year old artifacts, working waterwheels, and mill machinery help to tell the story of a business failure destined to be a National Park. The Ashley House tells the intertwined stories of the Ashleys and the enslaved African Americans who lived here in the 18th century.Col. John Ashley built the house in 1735, and spent the next decades accumulating wealth and land. By the time of his death in 1802, Ashley owned more than 3,000 acres -- including the land that is now The Trustees' Bartholomew's Cobble. Ashley supported the American Revolution, heading a committee that wrote the fiery Sheffield Resolves, a petition against British tyranny and manifesto for individual rights, in 1773. His financial success was based in part on the labor of five enslaved African Americans.Inspired by Revolutionary-era rhetoric and her own desire for freedom, Mum Bett, who was enslaved in the Ashley House, helped end slavery in Massachusetts. In 1781, she sued Col. Ashley for her freedom -- and won. Mum Bett was and remains an inspiration to all who learn her story. The Shelburne Falls Trolley Museum is dedicated to preserving and operating Shelburne Falls & Colrain Street Railway trolley car No. 10. Visit our operating museum, located near the Historic Bridge of Flowers, glacial potholes and village of Shelburne Falls. You can take a ride on Trolley No. 10 and our old fashioned pump car, browse historical photos from the time of trolleys in our Visitors Center, climb into our big red Caboose, and afterwards stroll among the artisan shops, galleries and restaurants in Shelburne Falls. Features: Accessible Restrooms, Accessible Swimming, Accessible Parking, Non-motorized boating, Boat Ramp/ Public, Landing, Fishing, Hiking, Picnicking and Walking Trails. The Museum Of Bad Art (MOBA) is the world's only museum dedicated to the collection, preservation, exhibition and celebration of bad art in all its forms. It is only through the efforts of the worldwide Friends of MOBA that we have been able to carry out our mission: to bring the worst of art to the widest of audiences. Founded in 1876, the Mount Holyoke College Art Museum was one of the first collegiate museums in the United States. The Museum has acquired more than 15,000 objects ranging from ancient Egypt, China, and Peru to contemporary America. Where is the best place in the world to find dinosaur tracks? In the Connecticut River Valley. The quarry that has produced more dinosaur tracks than any other quarry is the Nash Dinosaur Track Quarry . It was discovered in 1939 by Carlton S. Nash . Since that time it has produced thousands of dinosaur tracks that have been sold to museums and private individuals all over the world. The Old Firehouse Museum presents the history of this town, which was settled in 1753 and is the site of our new nation's first commercially successful canal. Along with the history of the people and industries of South Hadley, the Old Firehouse Museum commemorates the work of the firefighters who worked in this fascinating building from 1899 to 1973. There is a fine display of firefighting gear and, the museum's most prized possessions: two 19th-century hand pumpers and a 1926 Dodge Fire Engine. Upstairs at the museum, visitors will find the Gallery with exhibits that change yearly as well as the permanent exhibit of the 1890's Room, which displays objects of everyday life. 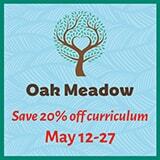 Green Meadows farm offers once a month Homeschool Classes for 3.5 hrs between April and November. Each class generally includes a visit to our fields, green houses and livestock to feed animals, collect eggs, weed, plant, or harvest depending on the needs of the day. Children get the opportunity to develop their skills in our education garden, and anything they harvest is for them to take home. There is craft time; using recycled materials and found items from around the farm. All ages welcome, but we do ask that children who want to participate are able to do so without a parental presence. Spencer State Forest, a 965-acres area provides swimming and picnicking facilities on Howe Pond. Features: Canoeing, Fishing, Hiking, Historic Site, Horseback Riding Trails, Hunting (Restrictions), Picnicking, Restrooms, Scenic Viewing Area, Skiing (Cross-Country), Swimming and Walking Trails. Features: Fishing, Picnicking, Restrooms, Scenic Viewing Area and Swimming. An exhibition that tells the story of Theodor Geisel's (Dr. Seuss's) childhood in Springfield with family photographs and genealogical information about the Seuss-Geisel family history. The exhibit features comparisons of Dr. Seuss's fanciful illustrations with actual places in Springfield that he would have known. The Naismith Memorial Basketball Hall of Fame has honored and celebrated the game's greatest moments and brightest stars. The Naismith Memorial Basketball Hall of Fame is home to nearly three hundred inductees and more than 40,000 square feet of basketball history. Located on the picturesque banks of the Connecticut River, the new museum is a fitting shrine to the game Dr. Naismith invented more than a century ago. The landmark structure is one of the world's most distinctive monuments punctuating the Springfield skyline and stirring the spirits of basketball fans everywhere. Hundreds of interactive exhibits share the spotlight with skills challenges, live clinics, and shooting contests. And of course there is enough basketball history to impress the world's most avid sports fans! Springfield Armory National Historic Site showcases the critical role of the nation's first armory. It contains the world's largest historic US military small arms collection, along with historic archives, buildings, and landscapes. The website offers historical information about the Armory for those who cannot visit in person. The Museum was established as the Springfield Ethnological and Natural History Museum, "a collection of specimens of natural history and a repository of arts and curiosities, a Museum, in fact, of curious or instructive objects." The new Museum of Springfield History will open to the public in the fall of 2009. Exhibits will describe Springfield's development as a manufacturing center, the city's role in transportation history, the many inventions and "firsts" that were generated here, the growth of downtown as the region's commercial center, the effects of urbanization and suburbanization, and the stories of Springfield's diverse populations. A highlight of the museum will be the Indian Motocycle collection which has been donated to the Springfield Museums by Esta Manthos, the owner and director of the former Indian Motorcycle Museum on Hendee Street in Springfield. The Michele & Donald D'Amour Museum of Fine Arts is one of the two Springfield Museums dedicated to fine and decorative arts. The Art Deco-style museum was erected in response to a bequest from Mr. & Mrs. James Philip Gray, who left their entire estate for the "selection, purchase, preservation, and exhibition of the most valuable, meritorious, artistic, and high class oil paintings obtainable," and for the construction of a museum to house them. The museum opened in 1934. The George Walter Vincent Smith Art Museum is one of the two Springfield Museums dedicated to fine and decorative arts. It represents the personal taste and Victorian aesthetic of the collector whose name it bears. The museum was built in 1895 in the style of an elegant Italian villa and opened to the public in 1896 as the "Art Museum." Smith made his fortune as a carriage manufacturer in New York City and retired when he was just 35 years old. He and his Springfield-born wife, Belle Townsley Smith, moved to Springfield in 1871 and devoted their lives to collecting art. Although Smith never visited Asia, by buying from dealers in New York and Europe he became a leading 19th-century collector of Chinese, Japanese and Middle Eastern art, and also amassed an outstanding selection of 19th-century American paintings. Renowned for its inspiring gardens, educational programs and exquisite setting, the Berkshire Botanical Garden is one of New England's oldest and most treasured public gardens. Established in 1934, its mission was to inspire and educate the community in responsible horticulture and home grown food. Today, with a year-round schedule of gardening classes, prestigious guest lecturers and a horticulture certification program in addition to our special events, we honor these founding values that are timelier than ever. Come roam the Garden's 15 lush acres where 3,000 regionally appropriate plant species, significant trees, unique shrubs and exotic botanical collections take center stage in an ever-changing theater of the senses. Chesterwood is the country home, studio and gardens of Daniel Chester French (1850-1931) sculptor of the statue of Abraham Lincoln in the Memorial in Washington, DC, and The Minute Man, Concord, MA. The buildings are furnished with American and European decorative arts and paintings collected by the sculptor. Woodland walks featuring mountain vistas and perennial gardens are French's own design. The Studio has a standard-gauge railroad track used to roll large sculpture outdoors for viewing in natural light. The museum holds what is probably the largest single collection of work by any American sculptor. Gilded Age 44-room summer estate of Joseph Choate. Built in 1885 and designed by Stanford White, Naumkeag also includes eight acres of formal landscaped gardens designed by Fletcher Steele. Norman Rockwell Museum is dedicated to education and art appreciation inspired by the legacy of Norman Rockwell. The museum preserves, studies and communicates with a worldwide audience the life, art and spirit of Norman Rockwell in the field of illustration.The museum is a gathering place for reflection, involvement, and discovery through the enjoyment of the artist's work. Norman Rockwell's unique contributions to art and society, popular culture and social commentary influence the museum's programs and interpretations. Stone Zoo is located on a 26-acre site near the sparkling Spot Pond reservoir in Stoneham, MA. The Zoo is open year round. Wells State Park is a popular 1,400-acre woodland park. Features: Boating (all types), Boat Ramp, Camping, Canoeing, Fishing, Hiking, Historic Site, Horseback Riding Trails, Hunting (Restrictions), Interpretive Program, Mountain Biking, Restrooms, Scenic Viewing Area, Showers, Skiing (Cross-Country), Swimming, Trailer / R.V. Dumping and Walking Trails. Come ride our stagecoach, meet our farm animals, talk with costumed historians, and watch the blacksmith, cooper, potter, and farmers at work. Experience life in the 1830s -- visit our 40 antique homes, buildings and water-powered mills. We offer hands-on crafts year-round, free parking and a free second-day visit within 10 days. A unique natural landmark, Purgatory Chasm is popular with picnickers and rock-climbers alike. Trails lead to a wide variety of rock formations, with such romantic names as The Corn Crib, The Coffin, The Pulpit, Lovers' Leap and Fat Man's Misery. Features: Accessible Restrooms, Hiking, Hunting (Restrictions), Interpretive Program, Picnicking, Scenic Viewing Area, Skiing (Cross-Country), Visitors Center and Walking Trails. Watson Pond State Park is a beautiful 10 acre park in Taunton. Features: Accessible Beach, Accessible Restrooms, Nonmotorized boating, Canoeing, Fishing, Picnicking, Swimming, Skiing (Cross-Country) and Walking Trails. Housed in the 1852 Bristol Academy building designed by Richard Upjohn, the museum contains extensive collections representing the history of the Taunton region of Massachusetts. Special collections include portraits, silver, military artifacts, fire fighting equipment, Rogers Groups, stoves, toys and dolls, furniture, and Native American artifacts. Important items include early silver, portraits, a 1790s fire wagon, a 1630-50 fowling gun, a Revolutionary War drum, and the 1729 Crossman Chest. Guided tours are offered daily. Highland House Museum is one of North Truro's best known landmarks and it is a classic example of a turn of the century summer hotel. A visit to the museum affords a fascinating insight into the everyday life of the past, from the time of the Pamet Native Americans to the early days of this century, when electricity and paved roads were unknown in Truro. The Museum contains 17th century firearms, shipwreck mementos, early fishing and whaling gear, household tools, farming implements, furniture, Sandwich glass, a pirate's chest and much, much more! This 2,600 acre forest offers multiple trail uses including hiking, bicycling, and horseback riding. Hunting is permitted in season. The Blackstone River and Canal Heritage State Park recalls the role of canals in transporting raw materials and manufactured goods between emerging industrial centers. Walk along restored sections of the Blackstone River Canal and Towpath from the River Bend Farm Visitors Center. Power up your imagination! Get your inventiveness in gear! For an industrial strength museum experience, come visit the Charles River Museum of Industry & Innovation. Explore the inventions that powered America into the modern age -- steam engines, generators, timepieces, machine tools, bicycles, automobiles, and hundreds of other gizmos - plus the geniuses who perfected them. Founded in 1961, The Rose Art Museum of Brandeis University is an educational and cultural institution dedicated to collecting, preserving and exhibiting the finest of modern and contemporary art. The programs of the Rose adhere to the overall mission of the University, embracing its values of academic excellence, social justice, and freedom of expression. Mount Grace is the third highest elevation in Massachusetts, east of the Connecticut River. Recreation activities at the 1,458-acre State Forest include hiking, walking, horseback riding, cross-country skiing, snowmobiling, and hunting (in season). The main exhibit gallery in Bedoukian Hall focuses on the art and achievement of the Armenian people. ALMA's museum holdings, now totaling approximately 6,000 objects, comprise a diverse collection of textiles, rugs, ceramics, religious art, coins, metalware, stamps, Uration architecture models, costumes, geological and botanical specimens, utensils and other artifacts. A vital part of the Armenian community, ALMA is truly a living library and museum, and a valuable resource to the community at large. Above all, ALMA is trying to fulfill its role as a surrogate grandparent, a guardian who can honor, protect and pass on the traditional values of Armenian culture to future generations, so that all our children, both Armenian and non-Armenian, may be inspired by the history and culture of Armenia. Welcome to one of the oldest and most acclaimed academic fine arts museums in the United States. Founded more than 120 years ago by the first President of Wellesley College, the Davis Museum and Cultural Center is characterized by collections that span global history from Ancient times to yesterday. With masterpieces from almost every continent, with collections installed in one of this country's most significant examples of museum architecture, and with a rotating series of temporary exhibitions that challenge our understanding of history and the role of the arts in society, the museum provides an exciting environment to see, hear, experience and learn about the visual arts. The Mission of the Wenham Museum is to protect, preserve and interpret the history and culture of Boston's North Shore, domestic life and the artifacts of childhood. Storrowton Village Museum is an authentic recreation of a 19th century village, consisting of nine historical buildings assembled around a traditional Green. Storrowton's antique buildings were purchased from various Massachusetts and New Hampshire locations, dismantled and reconstructed to create a village such as our forefathers built on hills, crossroads and along rivers. This 1,000 acre park is open on a seasonal basis from Memorial Day through Labor Day. Features: Accessible Restrooms, Camping, Fishing, Group Day Use, Hiking, Interpretive Program, Mountain Biking, Picnicking, Showers, Skiing (Cross-Country), Snowmobiling, Swimming and Walking Trails. Located in the City of Westfield, Hampton Pond State Park offers water based recreation activities and picnicking. Features: Accessible Beaches, Accessible Restrooms, Boating (All Types), Boat Ramp, Canoeing, Fishing, Picnicking and Swimming. The forest offers recreational opportunities year round, ranging from mountain biking and swimming in the summer to cross country skiing and snowmobiling in the winter. Nature lovers will enjoy the numerous hiking trails, the prolific mountain laurel bloom in late June, early July and the opportunity to observe all kinds of wildlife. Built in 1768, the Golden Ball Tavern was the home of prominent 18th century Westonian Isaac Jones. The tavern "at the sign of the golden ball" operated as an inn from 1770 to 1793 for travellers on the Boston Post Road. From then on, for six generations-200 years-it was occupied by the same family until it was acquired by the Golden Ball Tavern Trust in the 1960's. Here, history still lives and breathes, telling the story of change. Visit this unique Revolutionary era tavern and learn of the spies who went out in the cold, the "other" tea party and Paul Revere's men's eventful visit. The Spellman Museum engages diverse audiences of all ages in the opportunities to learn from stamps and postal history. It welcomes stamp collectors and philatelic students from around the world. 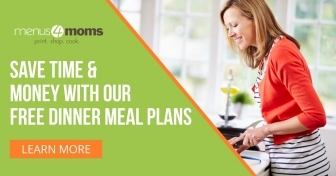 Enjoy our website and plan a visit! Features; Accessible Beaches, Accessible Camping, Accessible Picnicking, Accessible Restrooms, Boating (all types), Boat Ramp, Fishing, Historic Site, Picnicking, Showers, Swimming and Trailer / R.V. Dumping. Opened to public in 1955, the Institute has built upon this extraordinary group of works to become one of the most beloved and respected art museums in the world, known for its intimate galleries and stunning natural environment. Welcome to the Griffin Museum of Photography, a nonprofit organization dedicated solely to the art of photography. Through our many exhibitions, programs and lectures, we strive to encourage a broader understanding and appreciation of the visual, emotional and social impact of photographic art. At the Griffin Museum, you will find exhibitions from well-known photographers to those emerging on the scene that explore important themes and thought-provoking ideas. All of our exhibitions and programs are designed to encourage the passionate exploration of the art of photography. Windsor State Forest's cascading waterfall at Windsor Jambs stands out for its spectacular beauty. Features: Accessible Restrooms, Camping, Fishing, Hiking, Horseback Riding Trails, Hunting (Restrictions), Mountain Biking, Picnicking, Scenic Viewing Area, Skiing (Cross-Country), Swimming and Walking Trails. The EcoTarium is a unique indoor-outdoor museum in Worcester, MA. Set in an urban oasis, the EcoTarium offers a chance to walk through the treetops, take a thrilling multimedia journey through the galaxy at a digital planetarium, meet wildlife, stroll nature trails, ride a narrow-gauge railroad, and get hands-on with family-friendly exhibits. Considered a "classic American museum," the Worcester Art Museum has built a 35,000-piece collection that spans over fifty centuries. The Museum was founded in 1896 by Stephen Salisbury III and 50 prominent citizens of Worcester and opened to the public in 1898. The original collection consisted mainly of works on loan, along with plaster casts of famous ancient and Renaissance sculpture.